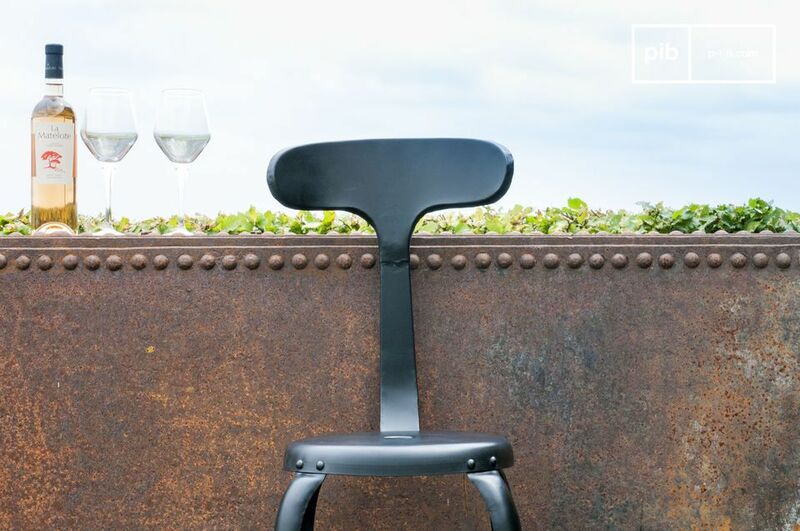 Original, robust and vintage, the black riveted bar chair combines metallic design and a matte black finish for a sleek and trendy style. 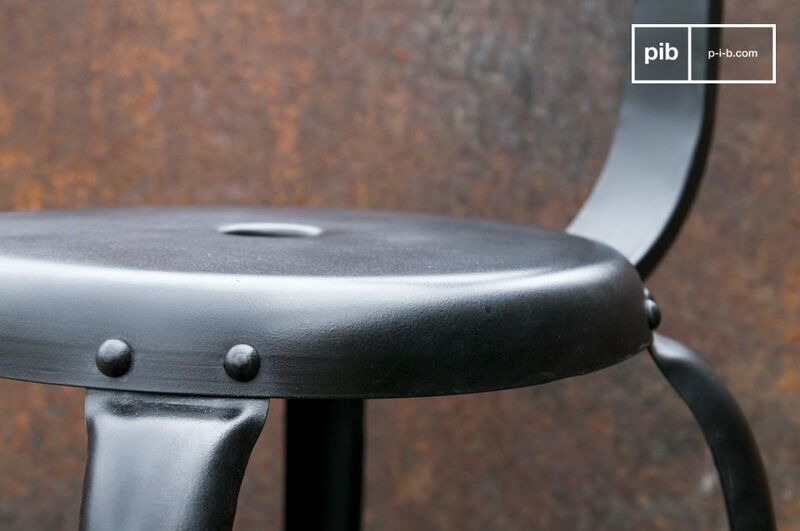 With a wide seat, a "whale tail" backrest that perfectly fits the back and a footrest, comfort is optimal. 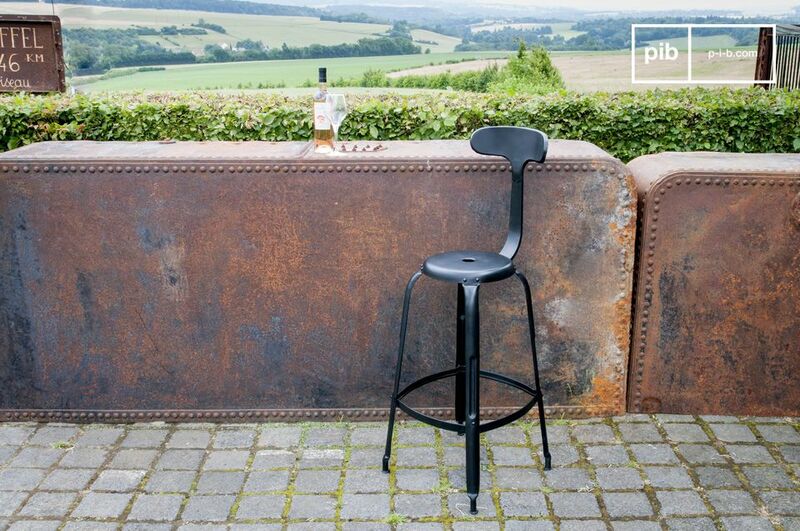 You will appreciate the stability and comfort provided by this bar chair. 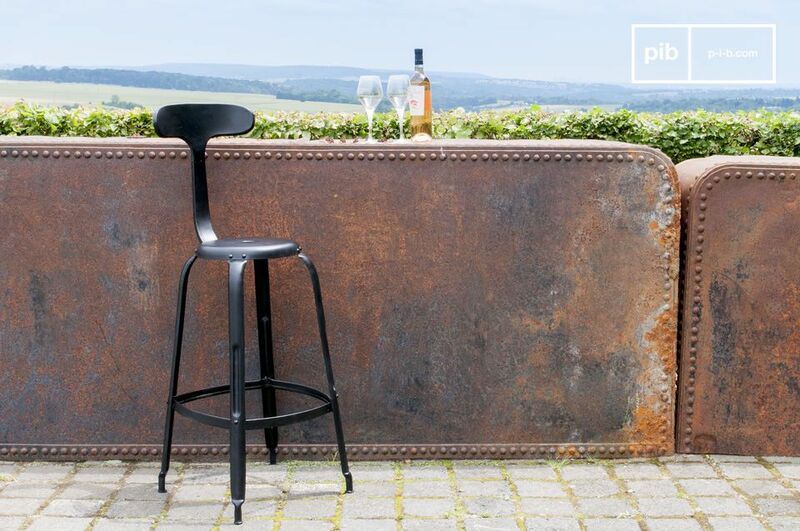 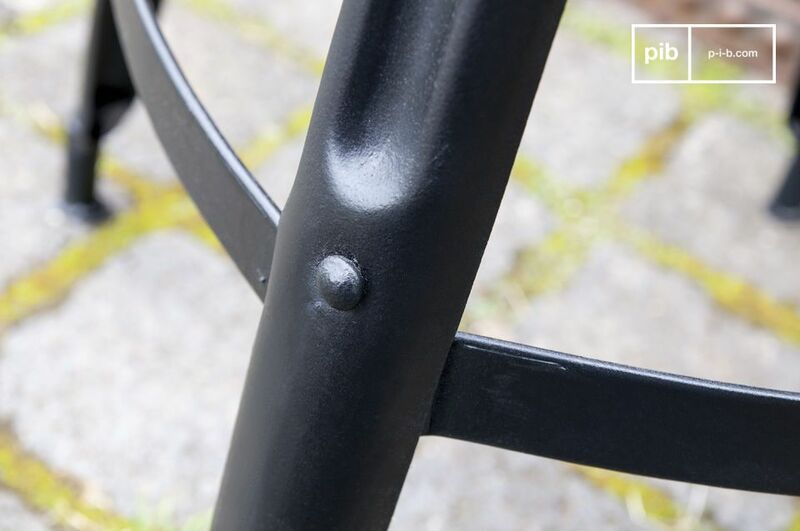 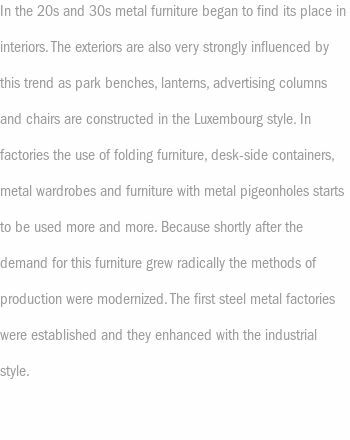 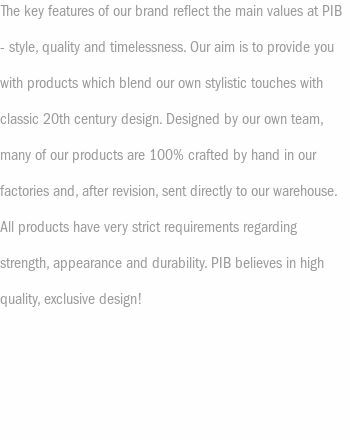 Its matte black finish, wide legs and visible rivets contribute to the vintage industrial design. 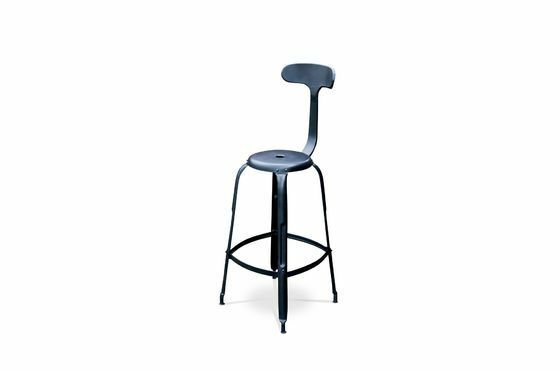 Around the bar of an American style kitchen or a standing table, this chair with a whale tail back will bring a stylish and playful touch by its shape, without skimping on comfort.